What Would It Take for Your Company to Go Global? If you have ever thought about selling your products and/or services worldwide, consider this: Going global is kind of like the weather. Everyone talks about it, but almost nobody does anything about it. The very thought of going global mystifies most would-be business moguls . When you consider this dilemma in our all-too-wired world it almost seems as though anybody should be able to go global. After all, we call it the “World Wide Web ” don't we?. Yet the sad fact is that most small to mid-sized online businesses still limit their sales to their nation of origin. Due to language and cultural differences, shipping regulations, customs requirements, tariffs and other red tape, many US companies restrict the size of their potential market. Without a doubt, the reason many companies shy away from doing business beyond their own borders is because a number of exporters have gotten caught in a kind of bureaucratic nightmare. in Lee Specialties being fined $90,000 for violating international trade sanctions. “While it was clear that Lee Specialties made a mistake, that mix-up still cost the Alberta company $90,000, not to mention the legal fees they racked up during their two-year court battle. And if you think shelling out $90 grand, plus court costs and legal fees for an innocent mistake is galling, wait until you hear about the Netherlands firm that was fined $10.5 million for violating US trade sanctions by exporting jetliner spare parts to the Sudan, Myanmar, and Iran between 2005 and 2010. So it’s obviously dicey to ship goods to certain Middle East countries. No big surprise. But this isn’t the only region where exporters have been caught in the crosshairs of international intrigue. There are currently US export restrictions on a number of countries including Russia, Cuba, North Korea, and Burma, among others. And the list changes all the time. While this is a good start at getting a handle on the ins and outs of international trade, it’s by no means the only step you’ll need to take if you intend to sell and ship your goods to foreign shores. Not by a long shot. Aside from the reams of red tape, two of the most daunting aspects of going global have to do with foreign languages and dealing with customs. Some firms have learned the hard way that what works in the US sometimes loses something in the translation when attempting to sell their products abroad. 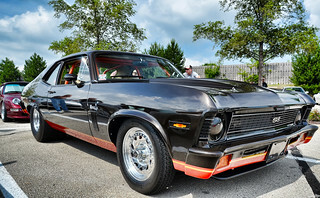 You may have heard the story of how Chevrolet had a tough time selling its Nova sedan in Latin America back in the 1970s. While the word “nova” means an exploding star to those of us north of the border, in Spanish speaking countries, “no va” translates to “it doesn’t go.” Purportedly, Chevy was forced to pull the car from the market until a name change could be made. While this is an amusing anecdote about the vagaries of language, any would-be exporter should take it to heart before they trust their product’s future to translation software. that purport to translate any website into a number of foreign tongues. “Great! Bon! Bueno!” you say? Not so fast. Languages can also differ in dialect. Just because you’ve translated a webpage or document into Spanish, for example, it doesn’t mean the Spanish used in Mexico is precisely the same as the Spanish spoken in Spain or Puerto Rico. (I found this out during a videotaping session when the woman who was doing the voiceover informed the Cuban-American script writer that a particular word he wanted to use meant something completely different to anyone living in Puerto Rico, where he was planning on airing his ads.) My advice is to have an expert look over your translated website, blogs, as well as any and all verbiage before you wind up with huevos on your face. Even though translation software has become much more sophisticated since the “Atlantic Monthly” article was written, the point taken should be one of caution. Just as it takes time to master a foreign tongue, so too does it take time to master all you need to know about exporting. And if you think that transshipping your goods to the far side of the planet is tough, take a gander at the cautionary tale of a Washington state entrepreneur who tried to save a few bucks by driving his parcels into Canada himself instead of using FedEx. “Five minutes later I pull up to the US Customs and Border Protection booth. CBP: ‘How long were you in Canada?’ Me: ‘Actually, I've never made it into Canada. I have commercial goods and I didn't know you weren't supposed to cross at Peace Arch.’ CBP (Eying all the Open Beam tubes in the back seat of my Accord): ‘What's in those tubes?’ Me: ‘It's, uh, a construction toy.’ CBP: ‘Construction toy?’ Me: ‘Yeah. Like Legos. For engineers.’ The CBP guy starts scribbling something fast and furious onto a bright orange sheet of paper. I can't read it, but I doubt it's a drug prescription.CBP: ‘Okay, go talk to that officer over there — he'll tell you where to go’ and slaps the orange sheet of paper on my windshield. “Now, for those of you who've never had the pleasure of a CBP secondary inspection — these guys make post office workers look like type-A workaholics in a startup. For about 45 minutes, I watched as they typed away like trained chickens at a computer keyboard, asked a few questions, stamped the little orange sheet of paper — then walked away from the counter with said stamp over to a row of desks, took another seat, and proceed to type away at a different computer keyboard. The moral is you want to proceed with extreme care before you endeavor to sell your products on foreign shores. Instead of running off half-cocked, you’d be well-advised to seek the advice of experts in the field of exporting, as well as those of business persons who are already successfully their exporting goods overseas. · Is your company ready to export? As you can see, the promise of profits is tantalizing enough to consider taking the time and trouble to learn about exporting. The moral of this story? In the exporting game, a little knowledge and $15 can make you … or break you. 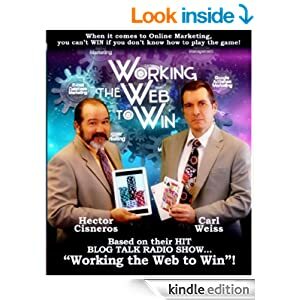 Carl's new book, Working the Web to Win is available at Amaxon.com. 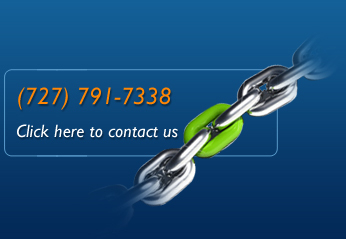 Carl Weiss is president of Working the Web to Win, a digital marketing agency based in Jacksonville, Florida. You can listen to Carl live every Tuesday at 4pm Central on BlogTalkRadio.